At Gauer Metal Products, Inc., we provide cost effective industrial and storage solutions to a wide range of companies. 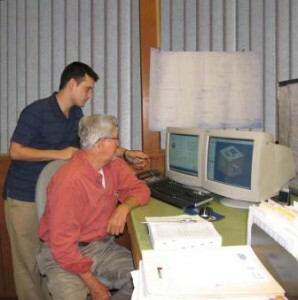 For over 60 years, we have worked seamlessly with our factory associates to provide customers with the quality Gauer products they have come to expect. Gauer’s engineering department, with the help of advanced CAD, CAM, and FEA software, will work with you to get the job done. Our team of professional engineers will assess your personalized needs, and custom tailor the most satisfactory and efficient solution for your company. With decades of experience in the manufacturing, mechanical, electrical, civil, and industrial engineering disciplines, Gauer’s engineering team will surely accommodate every area of your design requirements.